Summer is finally here, and with the south already seeing sizzling temperatures, what better way to celebrate than getting all your friends together for a big night out? Whatever the celebration may be, from making it through those exams to a milestone birthday or simply enjoying a drink in the beautiful weather, if you’re looking for that special touch for your big night, a party bus has you covered. We offer a full range of party buses for hire in various locations in the south, including Essex, London and Hertfordshire, so all you have to do is get ready, and we’ll sort the rest! 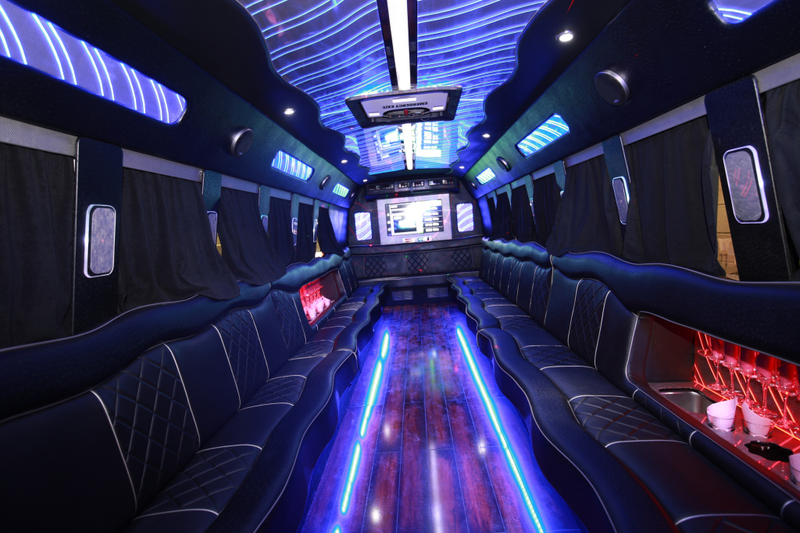 If you want to let your hair down, party buses get the party started from the moment you step on board. Decked out with disco lighting (and decorations if it’s a special occasion! ), your selection of tunes will kick off the night in great fashion, before you get settled and enjoy the onboard bar area. Crammed with a drinks selection tailored to your liking, get those corks popping and glasses clinking as you set off on the ultimate adventure. We can offer champagne and ice buckets included in the price, or you could bring along a selection of your favourites to make cocktails too. Fancy a spot of karaoke to get everything well and truly started? Look no further! Get everyone singing and in high spirits with a selection of popular tunes, the cheesier the better – you could even do a group sing-a-long. The best part about hiring a party bus this summer is that ours all come installed with air con, so you won’t have to worry about ruining your look before your night out. You might not even want to get off when you get to your destination if the weather is scorching! Need something a little more glam? You might decide to take it up a notch with limousine hire in Essex or London. The choice is yours, but if you’d like to know more about party bus hire in Hertfordshire, party bus hire in London or party bus hire in Essex, contact us and we’ll be happy to help! Email swifttravelservices@gmail.com or call us on 01279 816619.